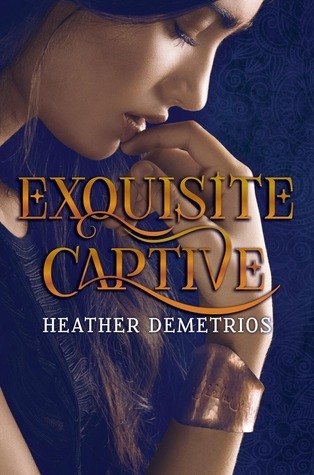 Welcome to night two of a four stop/four night blog tour celebrating the 10/7 audiobook release of EXQUISITE CAPTIVE by Heather Demetrios! Beginning last night (9/29) and ending this Thursday (10/2), you can listen to the first four chapters (one per day) of EXQUSITE CAPTIVE in their entirety and enter for a chance to win a digital download of the entire audiobook, performed by Erin Mallon! Tonight, I’m offering chapter one! When she's not traipsing around the world or spending time in imaginary places, Heather Demetrios lives with her husband in New York City. Originally from Los Angeles, she now calls the East Coast home. Heather is a recipient of the PEN New England Susan P. Bloom Discovery Award for her debut novel, Something Real, which Publisher's Weekly calls “[An] addictive yet thoughtful debut” about reality TV stardom. She is the author of the upcoming EXQUISITE CAPTIVE, a smoldering fantasy about jinn in Los Angeles and what Kirkus called in its starred review "an intoxicating, richly realized realm of magic, politics, spirituality and history" (#1 in the DARK CARAVAN CYCLE). She is also the author of the upcoming I’ll Meet You There (Winter 2015). I’ll Meet You There is a love story about a young combat veteran and a girl trapped in their small town, both struggling to escape the war at home. Heather is the founder of Live Your What, an organization dedicated to fostering passion in people of all ages and creating writing opportunities for youth of limited economic means. She is proud to have an MFA in Writing for Children and Young Adults from Vermont College of Fine Arts. You can always find her on Twitter (@HDemetrios), ogling the military dogs she wants to adopt (but can’t because her NYC apartment is way too small). Find out more about Heather and her other books at wwww.heatherdemetrios.com and www.darkcaravancycle.com. Enter for your chance to win the full length EXQUSITE CAPTIVE audiobook by tweeting about the blog tour using the hashtag #exquisitenights and the url http://bit.ly/1xtgTWf. One winner will be randomly chosen from all who tweet and will be announced right here on Monday, 10/6 at 9:00 pm est.